Elaine Hancock (Olney, United States) on 19 July 2016 in People & Portrait. If they got themselves organized, they could run off with him ! Promeneur de chiens! très bien vu!! une belle scène de rue! But...look at his t-shirt : he is a "suoer papa" ...!! Great capture of the scene . Happy ST ! That is a real handful!! @Devi: I keep wondering how he got them all hooked to leashes! Mine go crazy when it is time for a walk! Wow - dog walking is a difficult job. At least they all seem to want to go in the one direction - but at different speeds. Happy ST! Avec mes cinq chiens, je lui ressemble un peu. LOL ! Happy ST ! An excellent capture, Elaine - just amazing ! Kindest regards Shiva and Shiva sends greetings. @Shiva: I never thought of that but it could definitely become a disaster! I can't figure out how he put leashes on all the dogs. Scout goes nuts before her walk! When I walk our two dogs I get all tangled up. 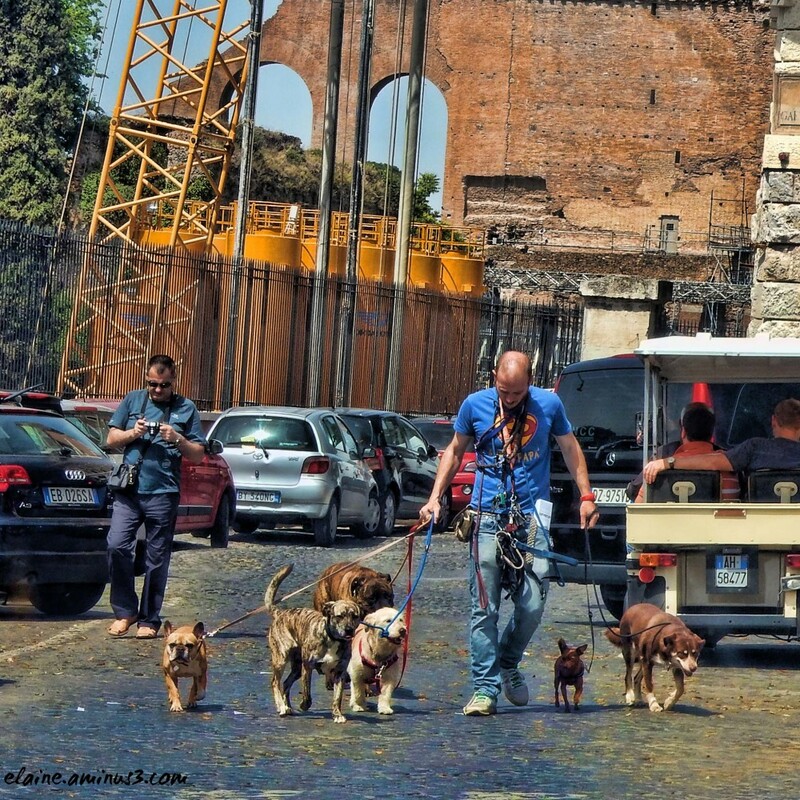 I marvel at these dog walkers. @beach: I do too! I was thinking about that! A cute caption to go along with this cute shot!! A funny scene and a perfectly fitting title ... Great shot !!! I don't know what the going rate is for that location, but that guy could be making $30 to $60 an hour. So who's laughing now? Et bien il il doit en promener quels nombre de chiens et bue quel captage superbe compo.